5 Star™ Office A3 gloss laminating pouches help to ensure that your documents are protected from damage, are waterproof and tear proof. 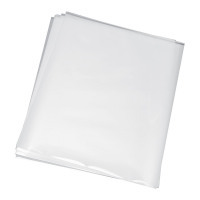 Providing greater durability , they are ideal for documents handled on a regularly or on display. Compatible with all major brands of laminator, these pouches will give a more professional look to your documents.